The business of being a celebrity doppelganger can be a lucrative one, particularly if the A-lister you choose to imitate is a past master at topping headline celebrity news pretty much every day of the week. 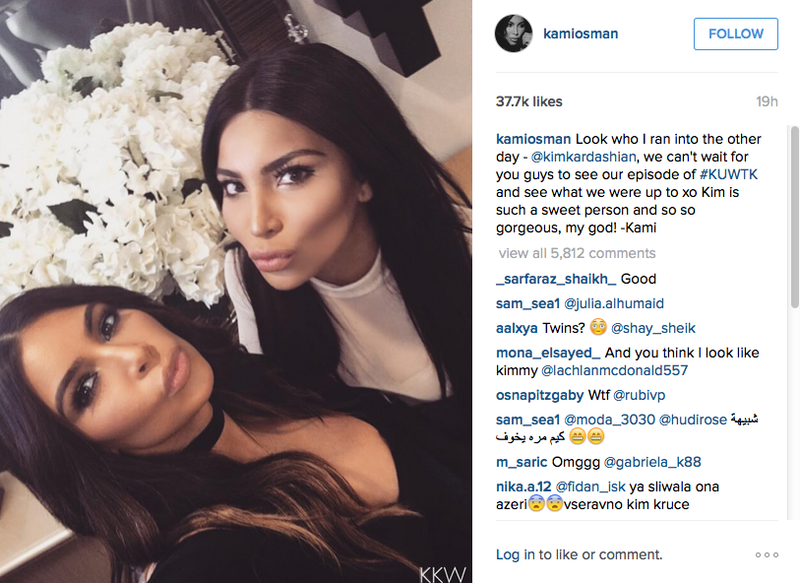 So the job prospects of Kim Kardashian’s doppelganger Kamilla Osman are looking pretty stable right now, even though the blogger claims she has never actually sought to be a professional Kim lookalike. 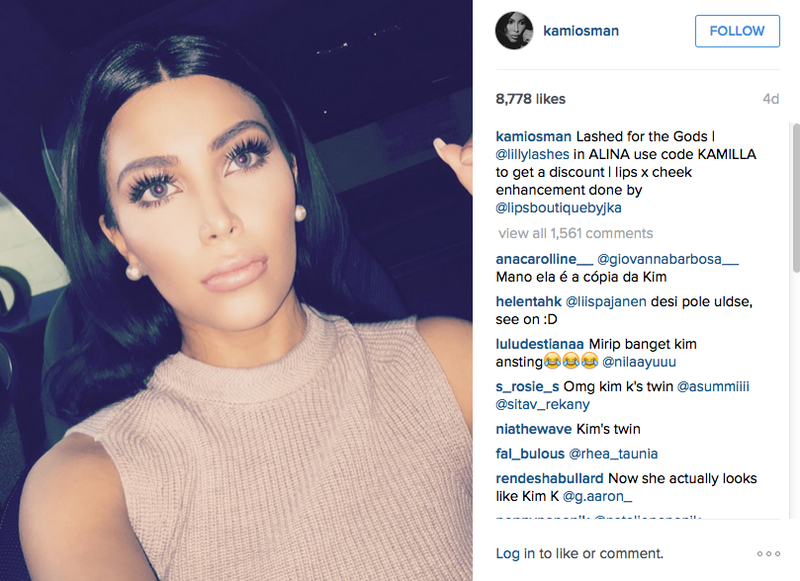 Nevertheless, in the six months since she joined Instagram, Kamilla has gained 247k followers thanks to her more than passing resemblance to Mrs Kardashian-West. 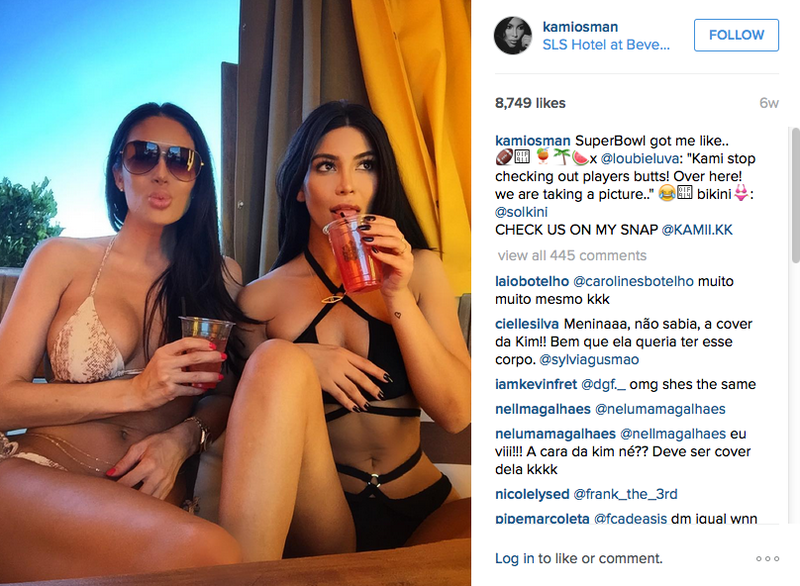 So it would seem the pair have not only hung out together, but Kim has even invited Kamilla to appear on KUWTK. We wonder what the two get up to… Is Kamilla invited to be a human mirror for the day to help Kim work out which of her outfits is most flattering? Is Kamilla used as a decoy so Kim can knock off from being trailed by paps 24/7 for a bit? Or do they just sit there and trade compliments? Watch this, very pouty, space.